Watch TODAY anchors get an on-air surprise — from their moms! When it comes to Mother's Day surprises, as with so much else, moms know best! Moms of Sheinelle, Craig and Dylan drop by TODAY for a special Mother's Day surprise! 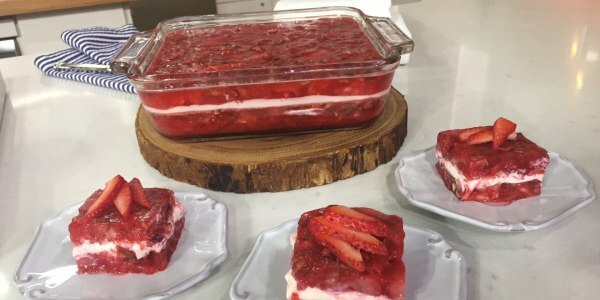 TODAY anchors Sheinelle Jones, Craig Melvin and Dylan Dreyer were about to introduce and prepare each of their moms' favorite dishes on Saturday, the day before Mother's Day, when their moms interrupted them ... on air! Dreyer had just started talking about her mom's famous crab dip when the doorbell rang repeatedly. The anchors' confusion quickly gave way to chaos when all three of their mothers unexpectedly strode through the kitchen door and into the studio. For a moment, all recipes were on hold while Jones, Melvin and Dreyer hugged their moms, shouting over one another in disbelieving amazement. "That is well done," Melvin applauded. Once the excitement died down, the segment got back on schedule — and you bet their moms were an important ingredient when it came down to cooking. 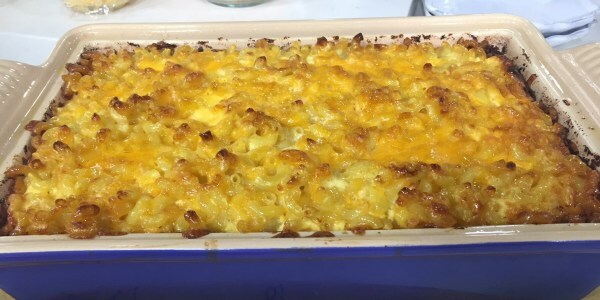 We learned that Melvin's mom "doesn't do measurements," as her mac and cheese recipe is all about eye-balling it. As for Dreyer's mom, she doesn't use spatulas, opting to pour ingredients directly from the bowl with her hands. And Jones and her mom agree that Jones hasn't quite mastered her mother's famous strawberry Jell-O salad dish yet — but she'll get there eventually. "It takes a lot to fluster us," Jones concluded. "And I think we are just a tad flustered." Just watch their reactions when their moms walk in! 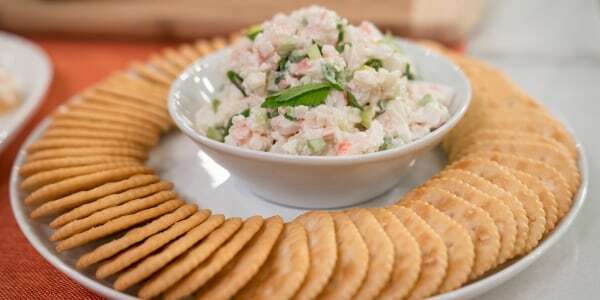 The surprise was super successful, to say the least — and the mac and cheese, strawberry Jell-O salad and crab dip recipes sure do look amazing.